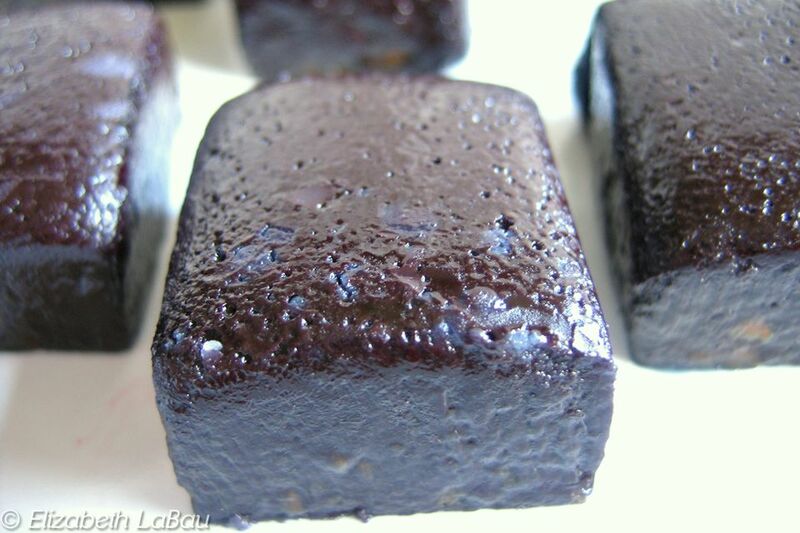 Black Licorice Chews are like the love child between black licorice and caramels! They're subtly scented with anise and have the smooth, creamy texture and mellow flavor of caramel candy. This is the perfect candy for black licorice lovers and anyone who wants to put an interesting spin on the traditional caramel. As written, the recipe produces a candy with a light licorice flavor. If you're a huge anise fan, you can increase the amount of anise extract--up to double what the recipe calls for--for a stronger black licorice flavor. Regarding the black color, it's entirely optional whether you want to use it. It does help signal the flavor of the candy, but if you're opposed to artificial coloring, you can certainly omit it. If you want to use it, I recommend using gel coloring instead of liquid, since gel is much stronger. Black food coloring gel can be found in some craft and cake decorating stores. I use Wilton’s brand, commonly available at Michael’s, or Americolor, which can be purchased on Amazon. Prepare a 9x9-inch square pan by lining it with aluminum foil and spraying the foil with nonstick cooking spray. Attach a candy thermometer and boil the candy until it reaches 245 degrees F (118 C). Stir frequently so that the mixture does not scorch on the bottom of the pan. Once it reaches the proper temperature, remove the pan from the heat and stir in the anise extract and the food coloring, if using, mixing until thoroughly combined. Pour the candy into the prepared pan and smooth into an even layer. Allow the caramels to set overnight at room temperature, or in the refrigerator for at least 4 hours, until they are very firm. Once set, remove the caramels from the pan using the foil as handles. Use a large sharp chef's knife to cut them into small squares to serve. If desired, wrap them individually in waxed paper to keep them from sticking together. The caramels can be stored at room temperature for up to three weeks.